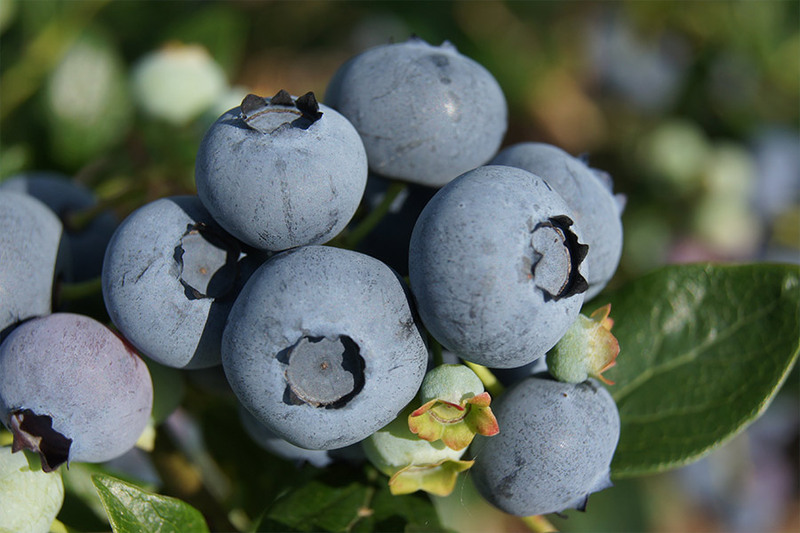 When in the fifties of the 20th century, there was "a discovery" of blueberry in Europe, soon afterward this plant was brought into Poland. Several decades later, our farm has started cultivating one of the largest blueberry plantations in Europe. Currently, thanks to the cooperation with prestigious suppliers of blueberry seedlings in the world, including a company named Fall Creek Farm & Nursery from across the ocean (the world's leading producer), our plantation covers the area of 500 hectares and is constantly growing. Through our year-round work and care of plants, we make sure that the blueberries produced on our farm not only stand out due to their flawless appearance of large, healthy berries but are also notable for their health-giving qualities and taste. The conformity of production of our fruit with the requirements of GLOBALGAP and TESCO standards is a guarantee of quality. Apart from the mentioned varieties, thanks to our long-term cooperation with Fall Creek Farm & Nursery and their trust for our company, we have received for testing (among perhaps a handful of other blueberry farmers in Europe) their latest patented varieties that in our opinion are bound to be very successful in the future.